I've got a fun post for you today! 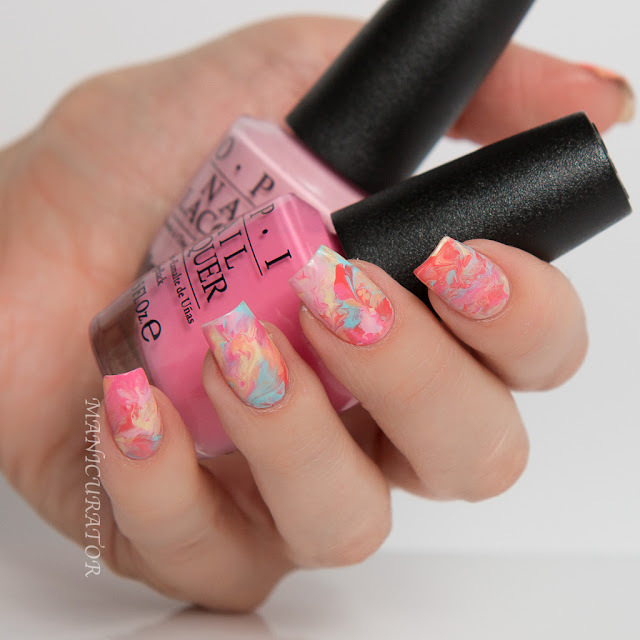 I got to finally try a new (to me) method of nail art, that is perfect for Summer and so easy to create! 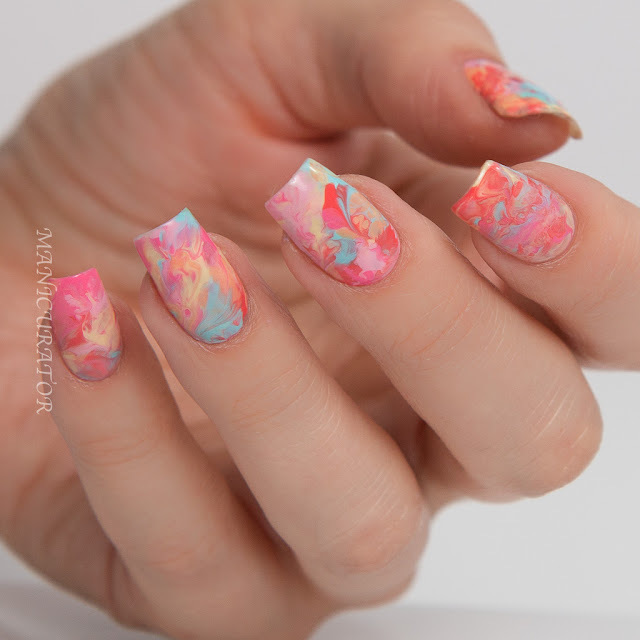 I can see why it's become the new trend in nail art! I was thrilled to be asked by Sally Beauty to go shopping and pick out my fave Summer ready products for mani and pedi summer looks! 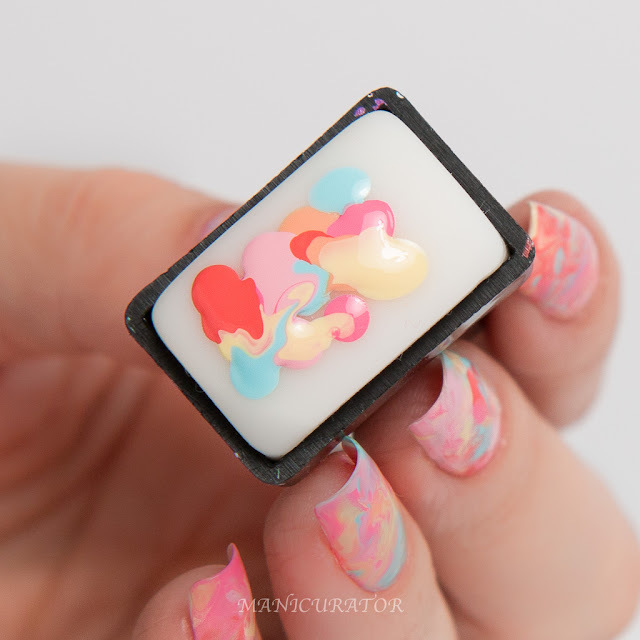 Let me show you what I chose and the smooshed marble nail art I created, I included a tutorial so you can get the look too!If you don't already follow @SallyBeauty on Instagram go take a look and give them a follow. They are always showing off great looks! 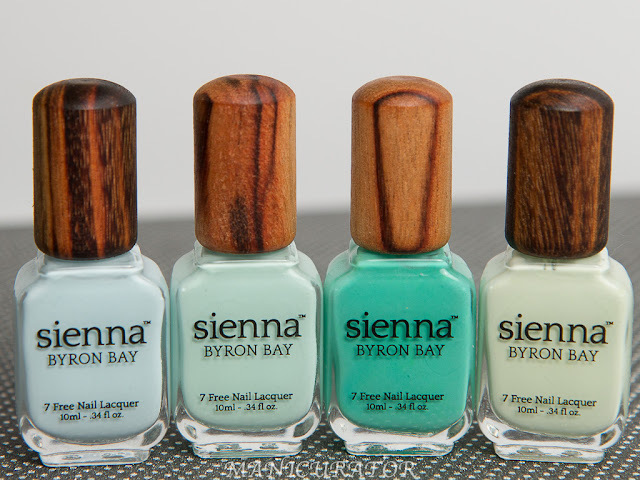 Sally Beauty has SO much to choose from for keeping nails and toes pretty. Here are my summer choices, with a trend watch for a few travel ready products for your summer getaway: OPI Retro Summer collection (I had my eye on these for a while so I was thrilled to finally pick them up at Sally Beauty), Heel to Toe Gel Separators (for the must have #summerready pedicure), Moist Hemp moisturizer (yep, travel size so it pops right in the bag to go! ), Heel to Toe Peppermint Smoothing Scrub (this smells so great and works so well to slough off dry skin and keep feet looking great), Skin Elements Pure Argon Oil (I use this to give extra care to dry spots on feet and elbows and it's a perfect cuticle moisturizer. ), Seche Vite (another travel size, really perfect for vacations where packing space is minimal and you need to be on the go quickly after finishing a new manicure! 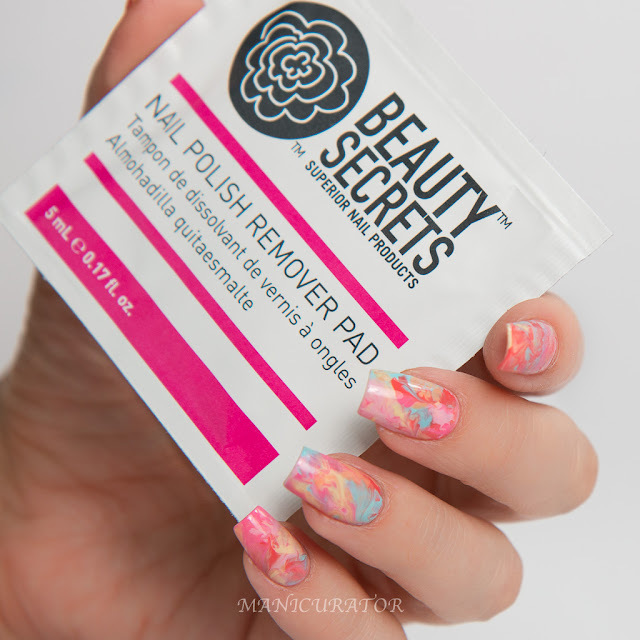 ), Beauty Secrets Nail Polish Remover envelopes (superb for your vacation mani and pedi change - love that there's no risk of leaking into your suitcase! ), and lastly I picked up a gentle buffing block for that occasional quick buff to smooth out ridges. I don't do that every manicure as it weakens the nail bed, but maybe about once a month. Here's the manicure I created. 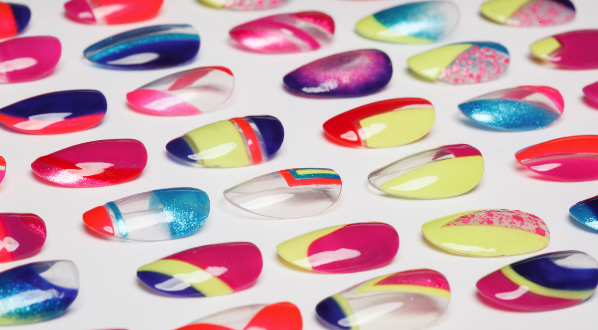 I know summer nails often calls to mind the brightest shades and lots of neon. Which I considered. BUT as much as I love that look for summer, I'm even more drawn to this lovely collection and this retro feel for summer gives me happiness every time I glance down. Plus, it's so easy to create..keep reading and I'll show you just how I did it. I really love how it turned out and was so glad my local Sally Beauty still had them in stock! If you don't follow Sally Beauty on Instagram yet, go take a look, they are always posting great looks and have so many beauty products to choose from! The pinks: Flip Flops & Crop Tops (The darker pink), What's The Double Scoop? 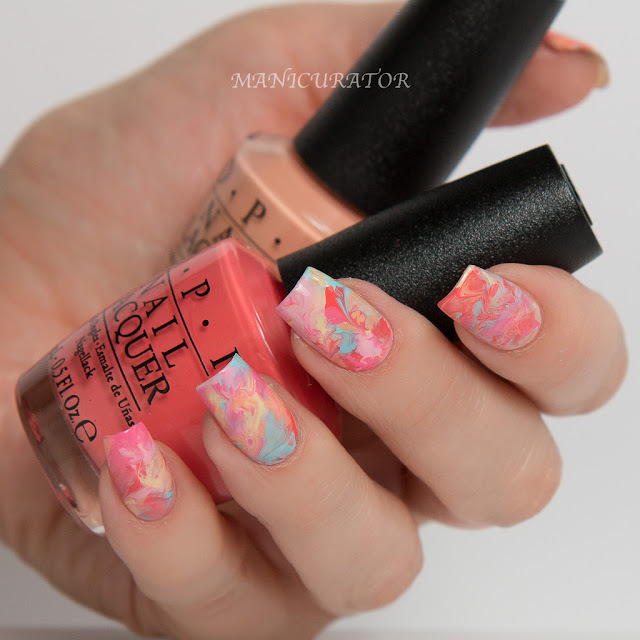 Get the look: Here's what I did - randomly place drops of polish of each shade on a stamping pad. 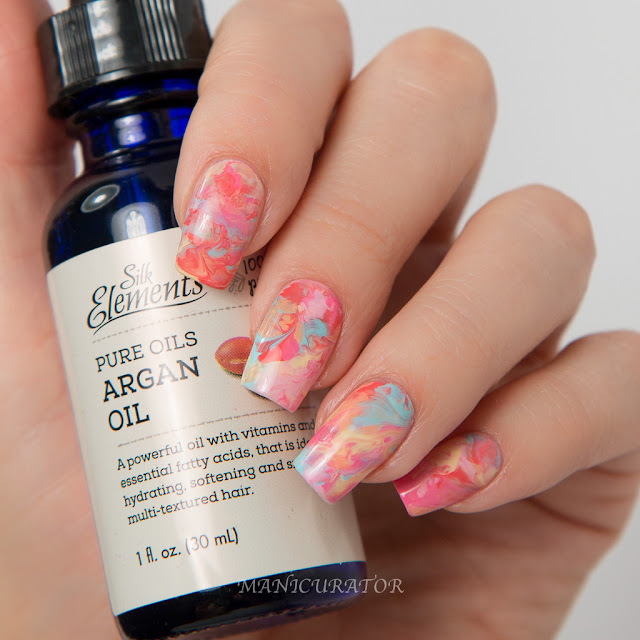 You can use a substitute for a stamping pad if you don't have one! 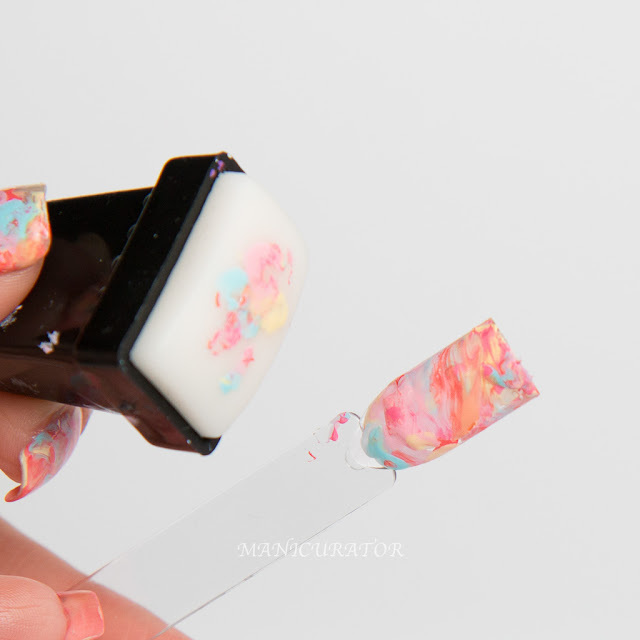 Anything that won't absorb the nail polish and holds its shape would work. 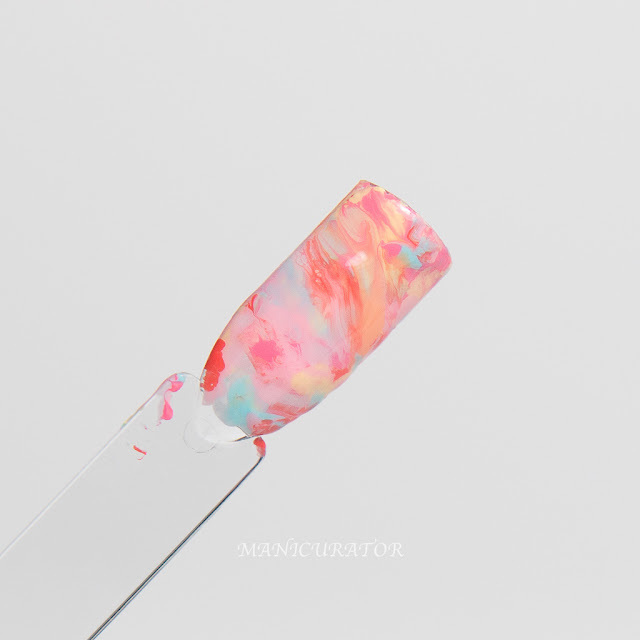 Here I've shown how it works on a nail stick. 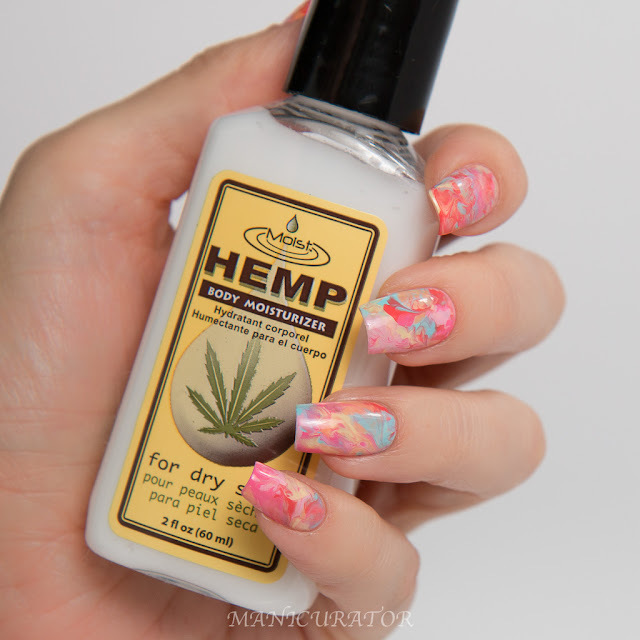 You can dab at the nail gently with with stamper until you are happy with how it looks. Then do some clean up, as this can get a bit messy, top coat and DONE. Easy peasy. So there you have it, my summer beauty secrets! Exfoliate, oil and moisturize. 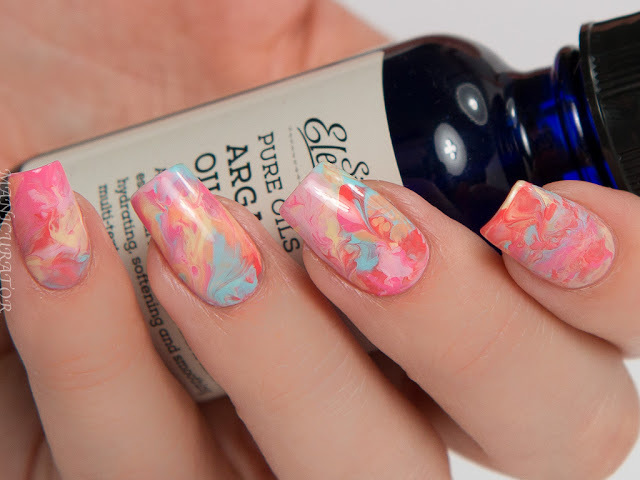 Pick a shade or nail art that makes you happy and seal it with fast drying Seche Vite! You can find all your summer ready manicure and pedicure needs at Sally Beauty! 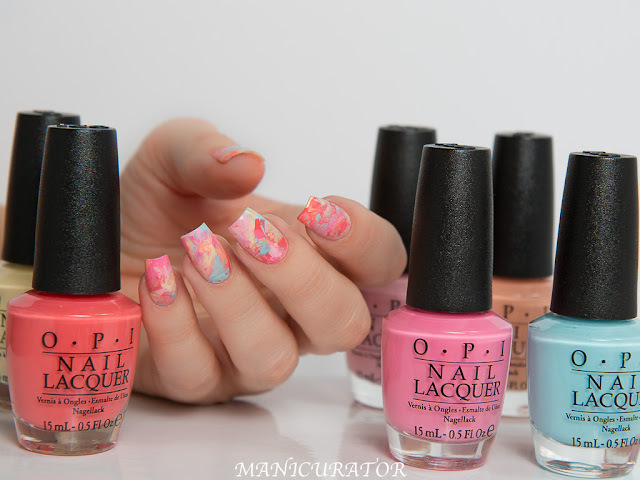 Hope you enjoyed my picks and my easy smoosh nail marble art, maybe try some out for yourself. Please tag me and @SallyBeauty if you do! I'd love to see!